Diplo's side project, Major Lazer, gives us exactly what we have come to expect in recent years. A happy-go-lucky, good-feeling, reggae/dance mix of 62 tracks in just 71 minutes is pretty impressive. 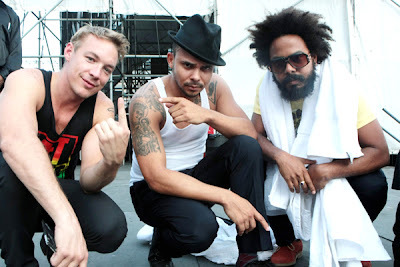 I definitely strongly suggest taking a look at what Diplo, Walshy Fire, and Jillionaire have to offer here. Also, take advantage of the free download if you enjoy what you hear. Enjoy!